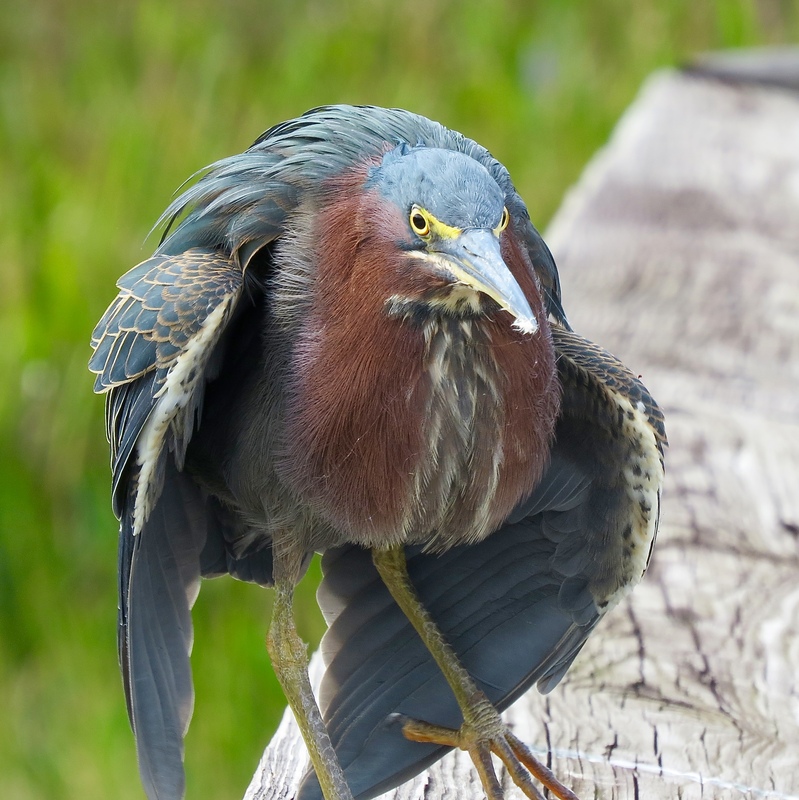 Green Herons are such characters, so fun to photograph! 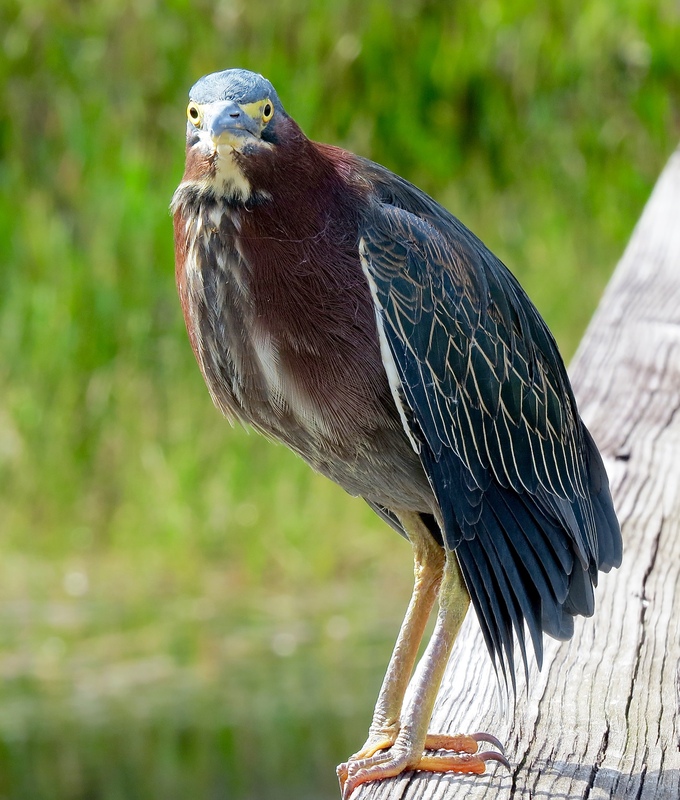 I decided to write this post in honor of my husband’s really cool Green Heron captures this week. 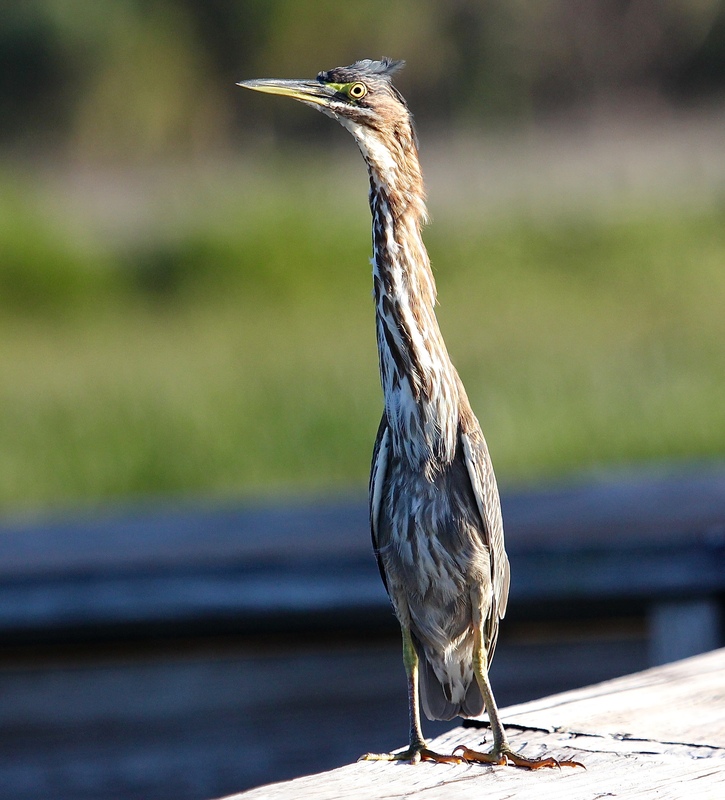 He snapped the featured photo above of a heron peering out intently across the pond. . . 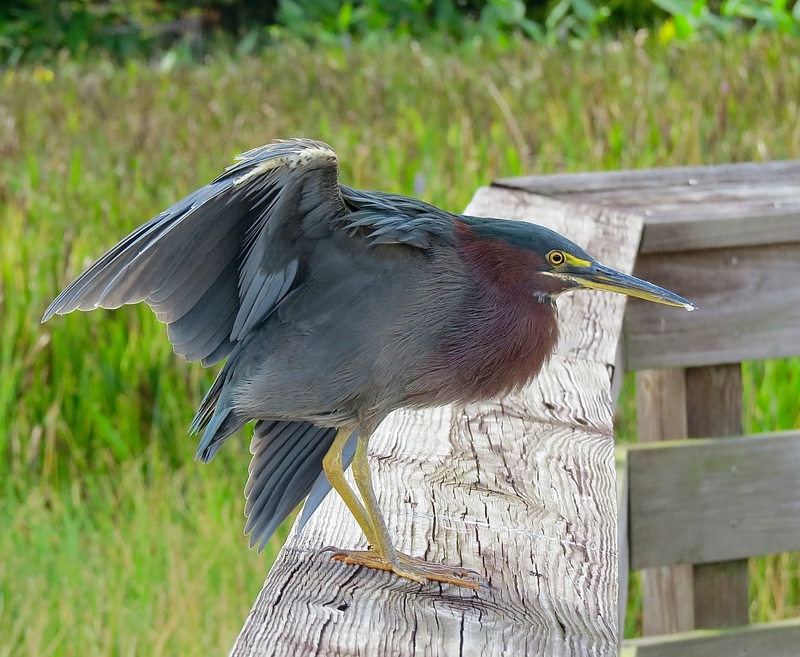 When all of a sudden, his new Green Heron friend started heading straight toward him . . . . . . . and showing off a bit! Turned into a staring contest there for a few moments! My husband sure gets kudos from me for the terrific photos above – he just picked up a camera and made the switch from ‘spotter’ with binoculars, to ‘photographer’ this week for the first time! Here are a couple of parting shots of this character of a bird~! What a team you make! He’s so excited about actually taking photos now! Truly wonderful shots of an interesting bird. Thanks so much, Victor. 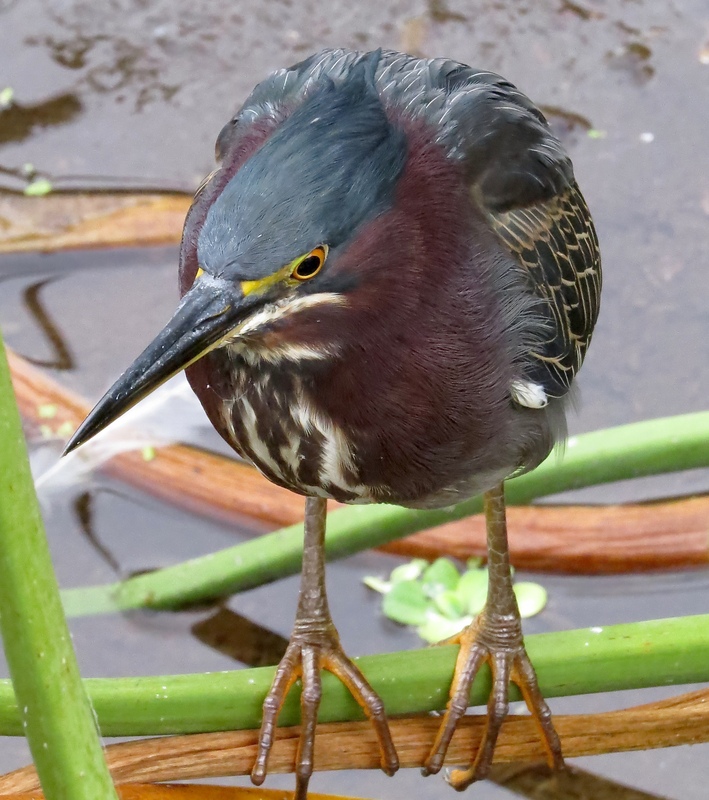 The Green Heron is a photogenic and wonderful little hunter! I appreciate your visit and comments, Samuel! Stunning photos! Might I have seen one,a juvenile, as late as November 1 here in NW CT? It was tough to spot in the dry grass and reeds along the pond , so surprised. I’m asking myself the same thing. 🙂 THX for info, less worrisome now. Amazing close-up photos! You all really captured the bird’s beautiful plumage and intense eyes. Thank you! Many of the photos in this post were taken by my husband. He will be so happy with your kind feedback, too.